Like many contemporary anime series, D.Gray-Man is another example of an anime series that has its origins rooted in a popular manga release. After receiving a great deal of attention and praise from Japanese audiences, naturally an anime tie-in was soon to follow. The resulting anime series was later aired in both eastern and western markets, and individual DVD collections subsequently released. 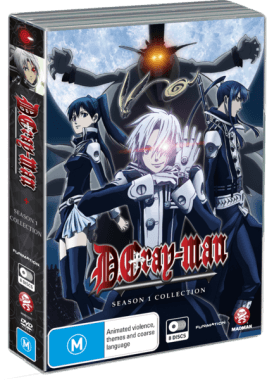 This particular collection brings together the entire first season worth of DVD releases into one box-set, spanning a total of 51 episodes. However, is the anime series as a whole worthy of the praise that its manga predecessor received? Or is it an example of a poor, uninspired adaptation? 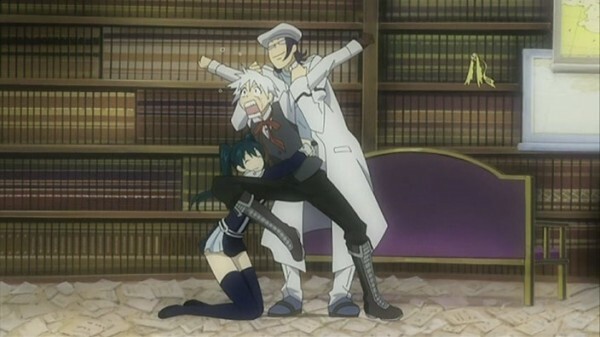 The story of D.Gray-Man follows the adventures of a young exorcist named Allen Walker. 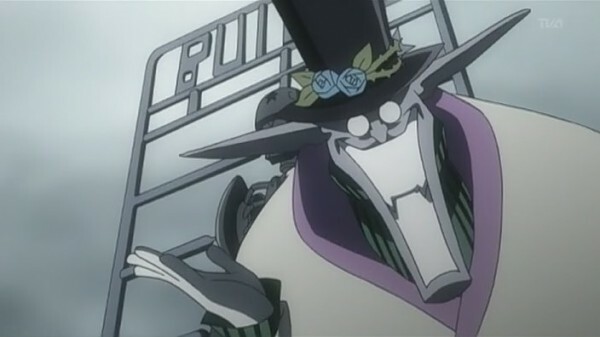 With his unique transformable Gauntlet and his cursed eye that allows him to see the tormented souls of the Akuma (machine like monsters created by the twisted Millennium Earl), Allen is one of a select few who have the capability of defeating and cleansing the souls of these monsters. 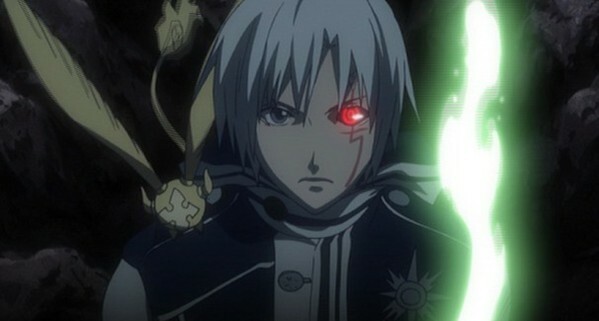 Considered even an oddity amongst his fellow exorcists in the Black Order, Allen uses his one-of-a-kind skills and abilities to help the Order locate and secure pieces of ‘Innocence’, the holy shards that are the source of any exorcist’s power. It doesn’t take the series long to establish a form of context. Within the first two episodes of viewing, the audience is pretty well educated on the state of things in the world. A young man from a mysterious secretive organisation with special abilities is tasked with hunting down supernatural demons and in doing so, decides the fate of the world. Sound familiar? 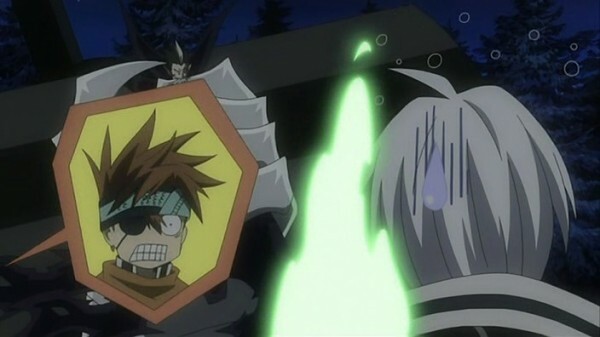 Unfortunately, neither the manga or anime version of D.Gray-Man can boast a great deal of originality. If you’ve seen Yu Yu Hakusho, or Blue Exorcist chances are you’ve seen most of the major plot points you’re likely to experience in this anime. That said however, the pacing of the story is handled spectacularly well. Most of the story arcs involved with this series are generally less than 5 episodes in length, which makes a nice change from the dozens involved with the more “mainstream” series. It must be said however, that watching this series is not for the faint of heart. At some points, the anime can rapidly switch from being upbeat and cheerful to downright gruesome in both themes and visuals. Each time you see the creation of a new Akuma, it never gets any easier, especially with what often follows. For all of his goofy looks and body language, the viewer really won’t have much trouble picturing the Millennium Earl as one downright detestable antagonist. Sometimes the creation of a strongly cast memorable villain can make the heroes triumphs more worthwhile. And it has to be said, that even for all of its predictability, it’s still satisfying to see Allen and friends conquer the challenges thrown their way. Adopting a very similar art and animation style other TMS productions, the visuals are quite well drawn, though the environmental artwork seems pretty generic. Character designs however are very well thought out when applied to scenes that are eccentric and humorous, to serious and gruesome and for all things in between. Each character, who may seem clichéd in personality, have a unique look about all of them. 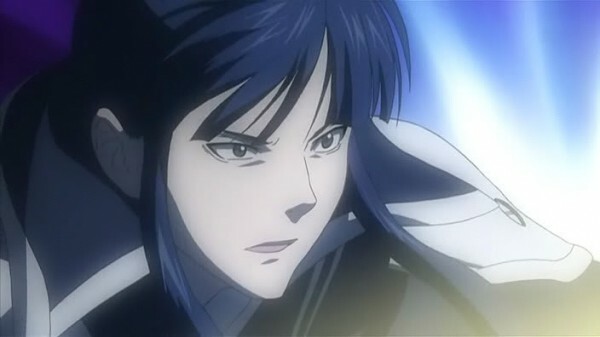 (Although you have to try really hard to not see Roy Mustang behind Kanda, or Ouran’s Kyoya behind Komui.) Allen’s character design and Anti-Akuma weapon transformations are especially detailed. Special effects on the other hand feel pretty average for this day and age. This is only a minor gripe, but when complied with the other utterances of lacking originality in the series, it’s hard not to observe it. But overall, the studio has done a fairly solid job in the creation and localisation processes. More than anything else, the voice acting selection for the series is absolutely stellar. Sure, the Japanese audio is available to those who prefer it, but when you have a starring VA cast of Christopher Sabat, Travis Willingham and Todd Haberkorn, why feel the need to switch. Avid viewers of Full Metal Alchemist will likely find their voice talent familiar when they suddenly realise that the voice talent of Major Armstrong, Roy Mustang and Ling Yao all play pivotal roles in DGM. This is the sort of series that let’s dub fans like myself raise a mocking eyebrow every time sub fans call English dubbing “inferior”. The voice cast is very well picked for the roles of the main cast. The orchestral musical score is also well designed. Dramatic situations and pacing are the best affected by the quality of musical accompaniment in this series. (As well as the odd whacky scene.) The opening theme song is equally epic in nature and scale. The kind of song that makes you want to jump up and start fighting evil yourself. While the plot points of D.Gray-Man aren’t hugely original in the wider anime market, it is still a highly entertaining show to watch. The action scenes are solid and adrenaline fuelled, the humour light hearted, and characters memorable. For all its clichés, a series doesn’t need to be highly original to be good in quality. For its rate of pacing, the series keeps the viewer wanting to see more, even if things get predictable. Having the entirety of the first season available in one box selection helps that addiction, far better than having to wait for individual volume releases. If you’re looking for a solid series that lies on familiar ground, but still has the potential to entertain you, then you’ve found it in this collection.